Arcanum Unbounded is a collection of short stories and novellas, all of which are set in the Cosmere. And what exactly is the Cosmere? It is a fictional universe where many of Sanderson’s fantasies are set. As such, Arcanum Unbounded is an unprecedented chance to untangle some of the threads that are spread throughout Brandon Sanderson’s many books. Now, I have not read nearly as many of Sanderson’s books as I would have liked. In fact, I’ve only read The Final Empire, the first book in the Mistborn series, which I la-la-loved. The problem is that this author has written so many other books that I am a little bit intimidated into what to read next. This meant that for me Arcanum Unbounded was the perfect literary pick ‘n’ mix. It was a chance to sample some of the other narratives that Sanderson has written and to prove to me that it is worth taking the time to read more of his work, even if it is likely to take me a while. It’s a dangerous risk using collections like this in such a way, just in case something is spoilt for you when you do get around to reading the other series. I had no such worries with Arcanum Unbounded because it is very clearly stated whether or not a piece of writing included in the collection contains spoilers and how major they are. If I didn’t want to have anything spoiled for me in a particular thread of the Cosmere, I simply didn’t read it and moved on to the next. Even with skipping some of the short stories and novellas, there was still lots for me to devour! 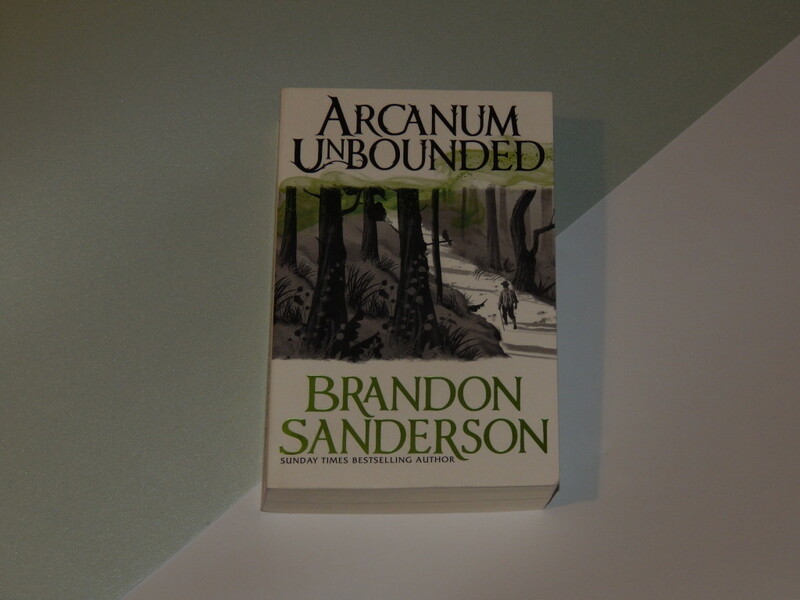 Whether you are a Sanderson superfan or new to his work, there is plenty in Arcanum Unbounded to be enjoyed and savoured. In all of the work that I read, I was once again struck by Sanderson’s ability to create vivid characters and intricately woven fantasy worlds. There is a brilliant balance between authenticity and creativity in his writing that I absolutely love. His work really is consistently enthralling and Arcanum Unbounded has made me even more excited to read many more books from his extensive catalogue – it looks like my TBR just got even bigger!